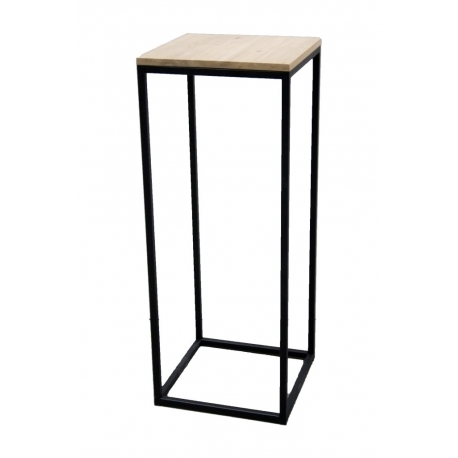 Sturdy and stylish - the best way to descirbe this industrial steel pedestal with an oak top. The steel frame is beautifully finished and black powder coated (RAL 9005), so that the welds are virtually invisible. Its thickness is 20 mm, and it is both very sturdy and impeccably stylish - a perfect combination. 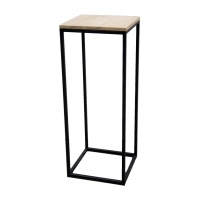 If you order this product, what you will receive is a steel base with a solid oak top (18 mm thick). The top has a very smooth finish and is protected with a layer of transparent satin varnish (PU top). It is possible to customize the top with a thicker oak plate, a white or black plate with or without glass/acrylic display cover, or any other desired material. This product is very versatile and easy to customize to your needs and wishes. 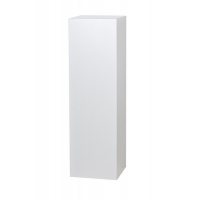 This pedestal is also frequently used by customers during trade fair presentations: steel is extremely sturdy (it can bear the weight of up to 150 kg), but at the same time reasonably lightweight and easy to handle because of its shape. 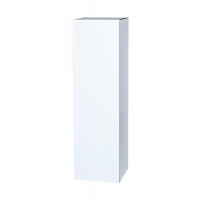 All this makes it possible for you to set up an exhibition stand in a simple, stylish and contemporary manner.